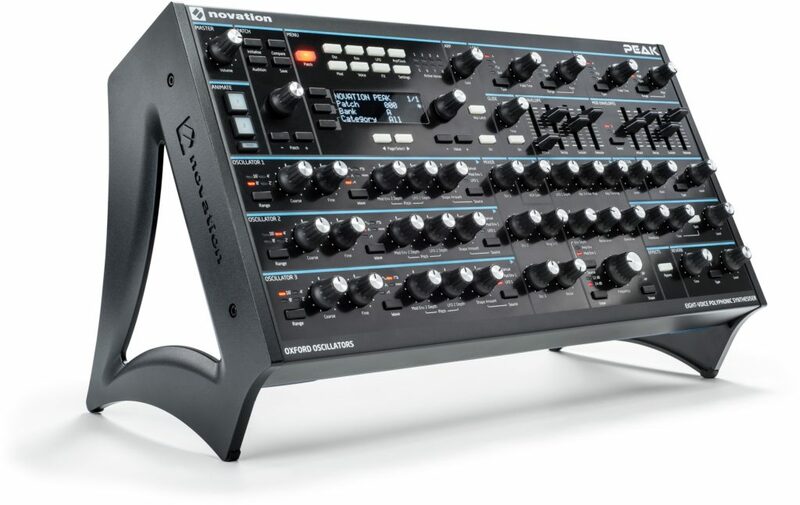 Novation the synth manufacturer looks to be back with a vengeance. 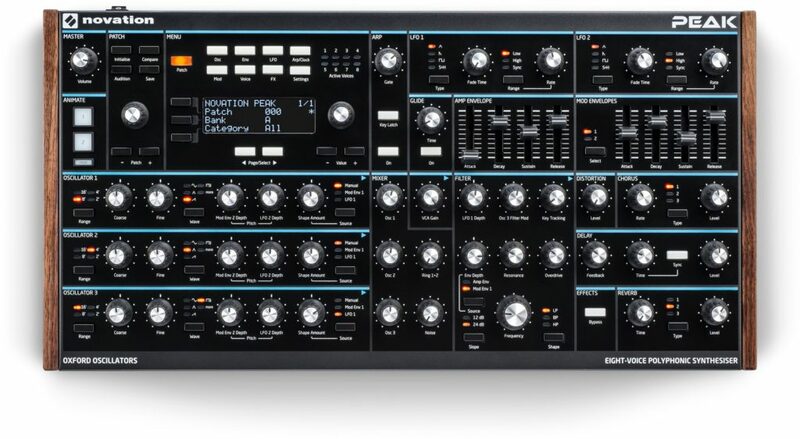 In addition to the new Circuit Bass Station as its mono/paraphonic synth offering, the company has a new polysynth flagship. The UK company says they brought in Chris Huggett, the creator of the Bass Station, Supernova, and OSCar. Note – that is digital. These are numerically controlled oscillators, which I suspect is generating some confusion. Also interesting: Peak has a 1-bit digital architecture. These are topics for a follow-up story, maybe, to explain what that means in engineering terms to those interested. But the point is, you get an analog-sounding synth without some of the inflexibility or cost that are sometimes associated with that. And there’s full-featured modulation, too, with a 16-slot modulation matrix. Each voice gets three ADSR envelopes and two LFOs each. “Animate” gives the synths some live performance features. There’s some unexpected flexibility here. Not only do you get resonant multi-mode filters on each voice, but there are three distortion points for each – pre- and post-filter and global. All the expected extras are there, too: reverb, delay, and chorus, plus an arpeggiator, USB, MIDI DIN, and CV. Components software for patch storage will work with this as on the Circuit line. I haven’t had the chance to write it up yet, but Waldorf’s own polysynth announced at Musikmesse was out of reach to a lot of us, given that instrument will be “no less than” three grand. Novation give us a poly synth with wavetables and lots of features, at a price that’s easier to swallow. That said, what this isn’t is analog. So expect some forum debates about whether “true analog signal path” matters or not. Novation are quick to say this “sounds analog” but benefits from digital functionality. And I think that’s really the bottom line – if it sounds good, it is good. We’ll take a closer look this week in Berlin, so let us know if you’ve got questions. There’s also a nice stand for around a hundred bucks, though that’ll be later this year.